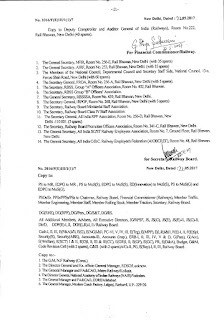 Subject: Implementation of Government’s decision on the recommendations of the Seventh Central Pay Commission Revision of pension of pre-2016 pensioners/family pensioners, etc. 1. OM. No. 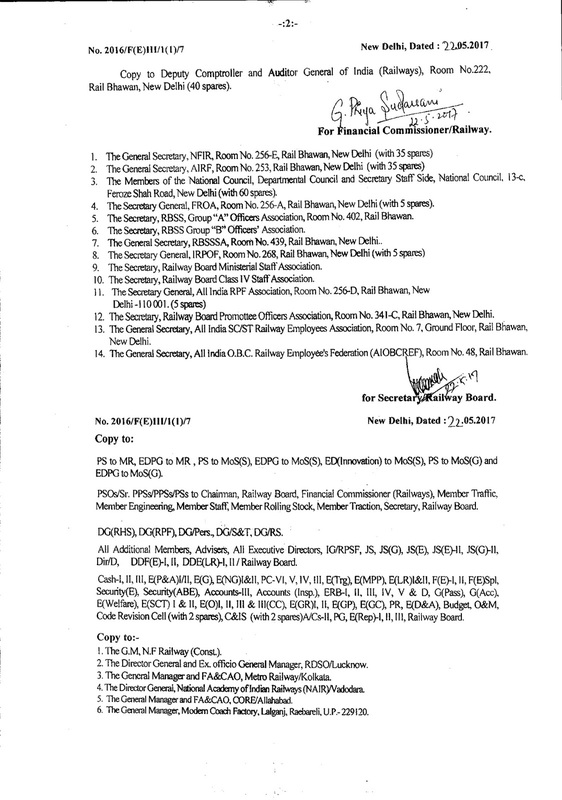 45/86/97-P&PW(A) Part(iii) dated 10.02.1998 Letter No. F(E)111/98/PN1/2 dated 10.03.1998. 2. O.M. No. 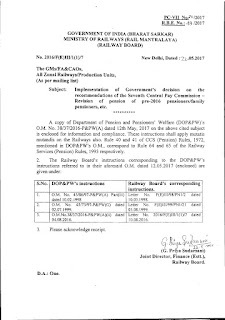 45/73/97-P&PW(G) dated 02.07.1999. Letter No. F(E)III/99/PN1/21 dated 05.08.1999. 3. 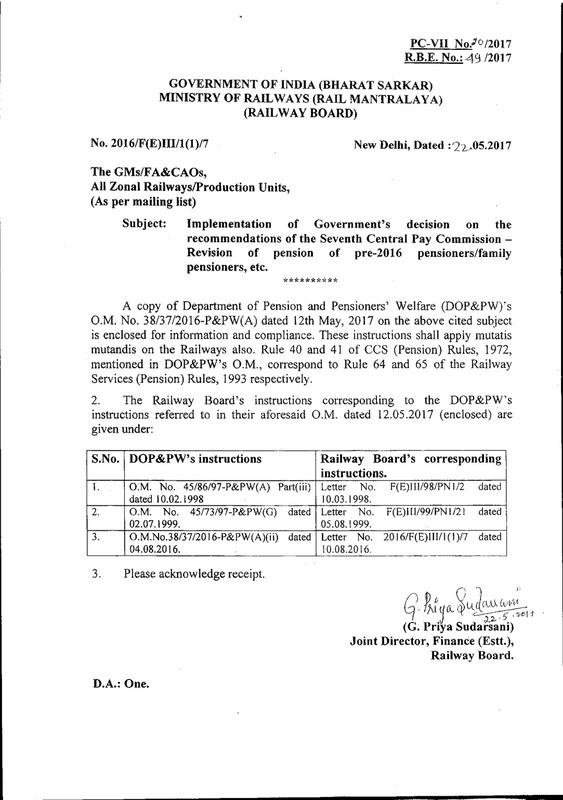 O.M.No.38/37/2016-P&PW(A)(ii) dated 04.08.2016. Letter No. 2016/F(E)111/1(1)/7 dated 10.08.2016.